The above picture was a donation by games industry Visual Development Artist Andrew Macdonald – Much kudos and thanks to him for a gorgeous realisation of our little 8-bit logo, inspired by the Sick Kids logo itself. This will be really useful Andrew, thank you! 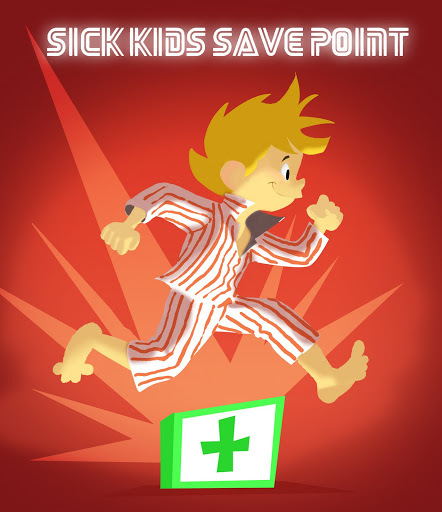 We hope to see you or some of your fellow ex-pat Scots working in the games industry down south or overseas taking part in Sick Kids Save Point this year!